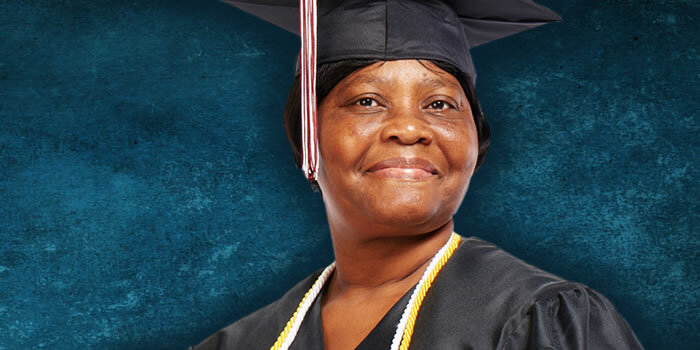 Once she had her diploma in hand, Kathleen was encouraged to keep pursuing her education, and enrolled in the medical billing and coding program at Ashworth College. Although she was hesitant when she started, she found the inner motivation to make her goals a reality. Kathleen credits her husband as being the biggest support in her life when she went back to school, especially during the times when she felt stressed and struggled to stay positive. While she leaned on her family for support during her time as a student, Kathleen also served as an inspiration in return, particularly to her daughter, who had previously dropped out of high school. “When she saw me [go back to school], she realized she could do it too,” she said. And she did — Kathleen’s daughter enrolled at James Madison and earned her high school diploma, just like her mother had done before her. Kathleen completed the medical billing and coding program and celebrated her success at Ashworth College’s 2016 commencement ceremony. For now, she plans to work and gain experience. But, she knows education will continue to be a part of her life.